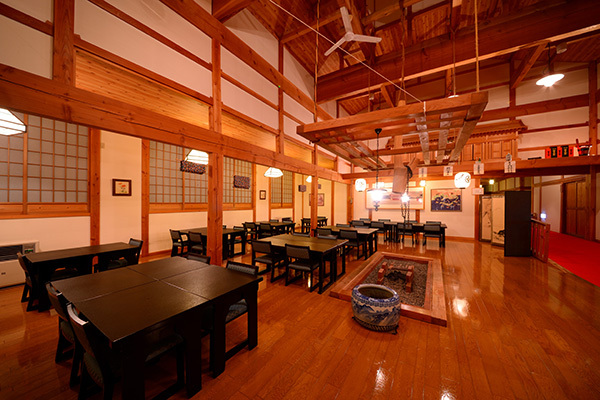 Hot Spring / Cuisine / Guest Rooms / Facilities | Aomori Prefecture's Ajigasawa Onsen. 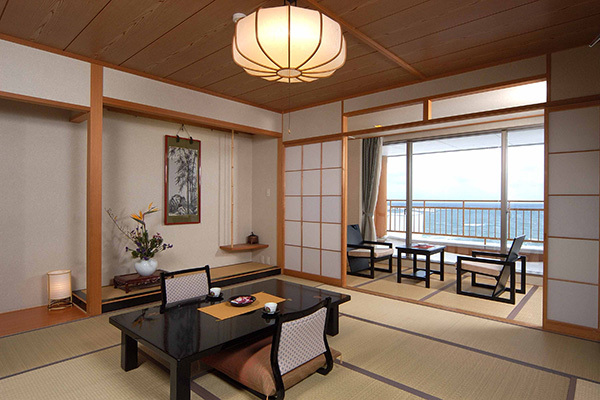 A hot spring hotel with an air of Taisho-era romance and a panoramic view of the Japan Sea. 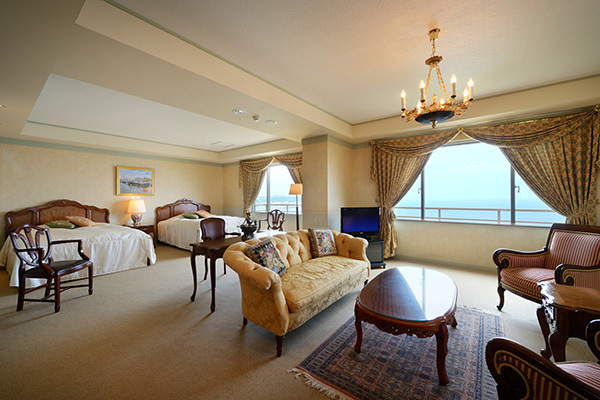 Hotel Grand Mer Sankaiso. 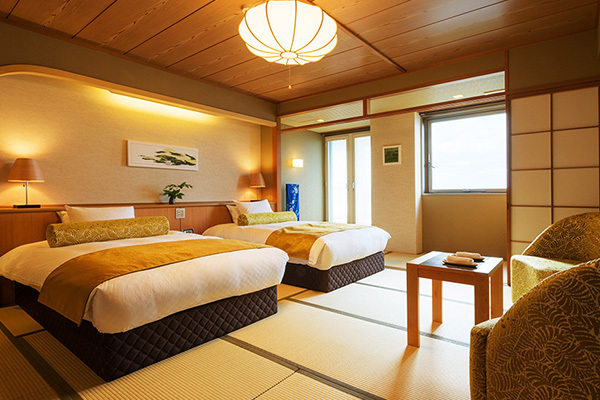 A hot spring hotel with an air of Taisho-era romance and a panoramic view of the Japan Sea. 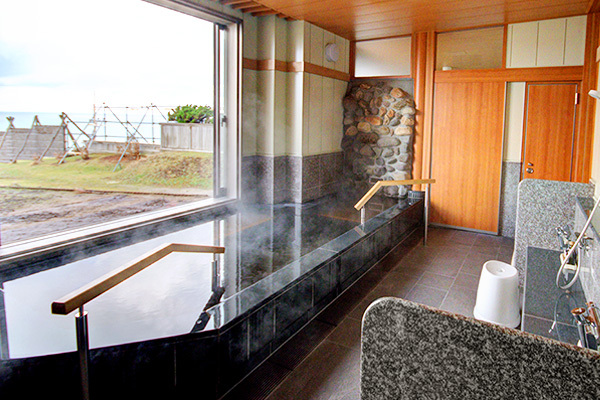 The natural thalassotherapy effect of fossil seawater hot spring. 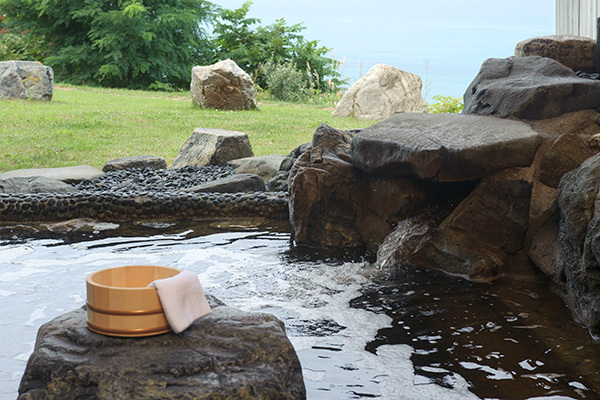 Our open-air baths with panoramic views of the Japan Sea is one of our highlights. 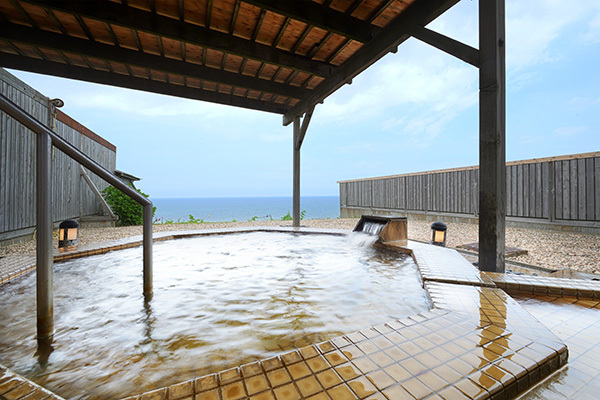 We have a Japanese-style bath and a western-style bath. The baths alternate between men's and ladies'. Why not enjoy both? The fossil seawater hot spring, which was originally seawater, is rich in sodium. 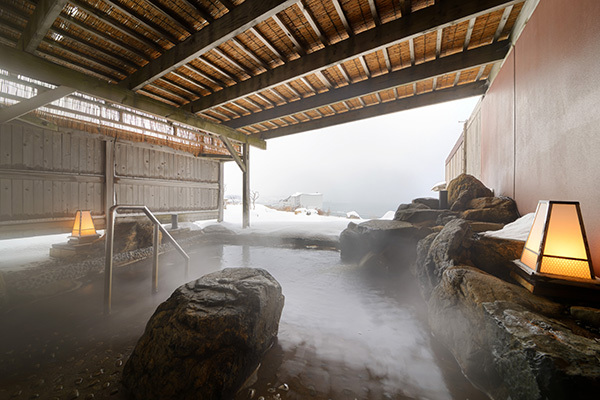 The water is characterized by excellent thermal and moisturizing properties, and it keeps you warm long after bathing. In other words, soaking in this water is thalassotherapy. 2018/12/26 New opening private bath 「Urashima」and「Otohime」! 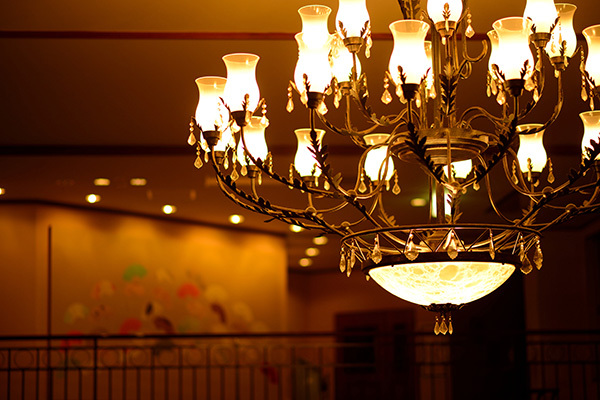 The price is ￥3,000+tax / 45mins / Maximum 4 adults. Please contact us to make a reservation before use the private bath. 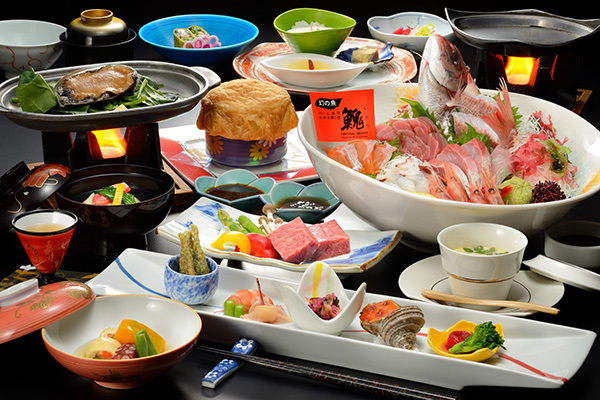 Our spirit of hospitality reflected in each and every dish. Have your fill of seasonal blessings from mountain and sea! 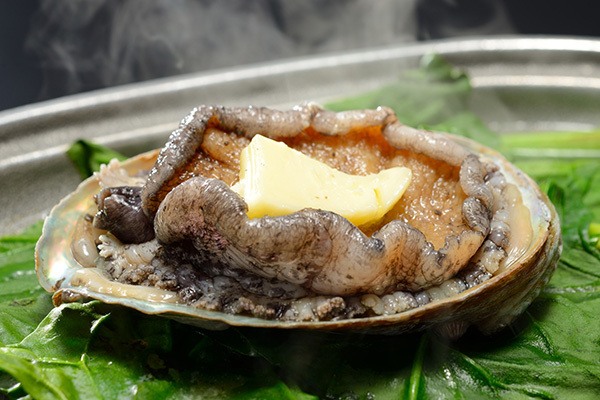 Meals are prepared wholeheartedly using the best ingredients available in each season, like the Shirakami abalone nurtured in the Japan Sea; Ajigasawa's very rare and tasty fish, Sakhalin taimen, cultured in the fresh water of Shirakami-Sanchi; and Ajigasawa's aged local pork raised at Hasegawa Shizen Bokujo. 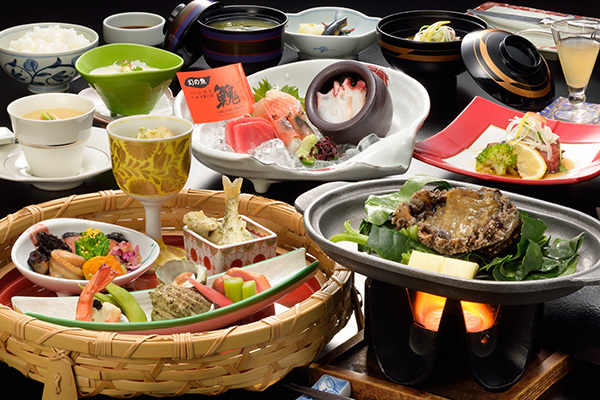 Savor Japanese kaiseki full-course meals. 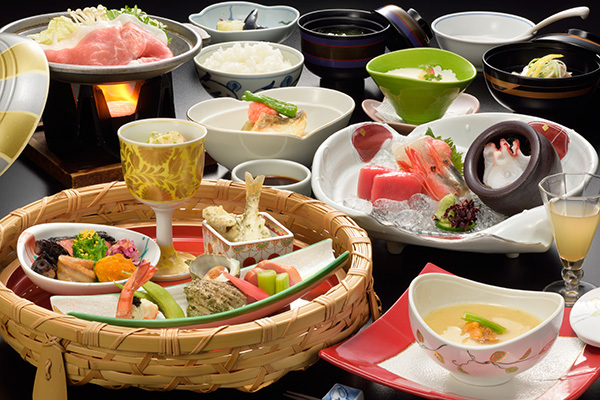 Breakfast is a buffet with a range of Japanese and western dishes. 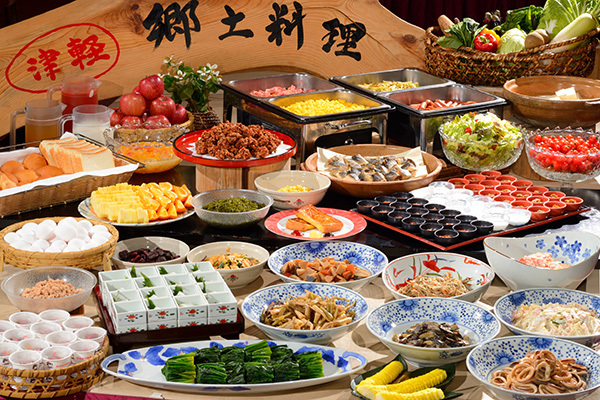 The Tsugaru local specialty corner, the freshly made French toast, and the eggs cooked by the chef are everybody's favorites! 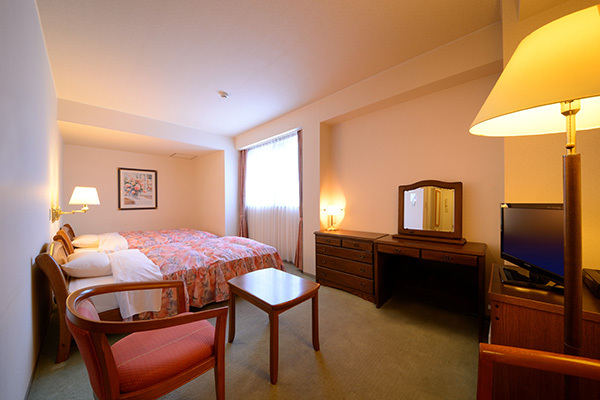 The hotel has an ambience of Taisho-era romance, and a harmony of both Japanese and western cultures. 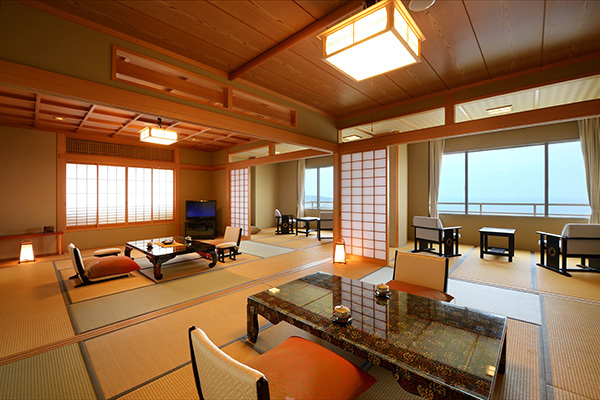 Feel the ambience of Taisho-era romance, where western culture intertwines with Japanese culture, and enjoy the panoramic views of the Japan Sea. 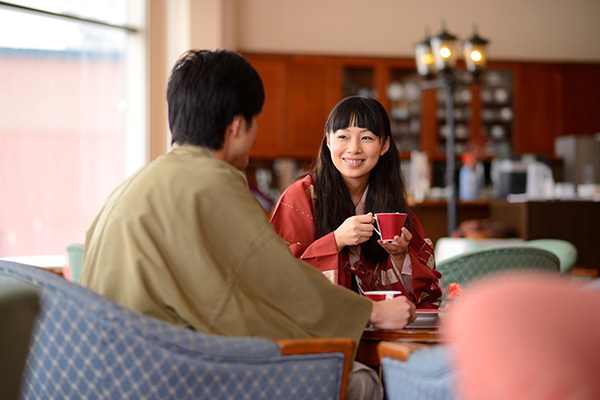 Delight in sipping a free cup of coffee in the lobby whilst looking out at the Japan Sea. 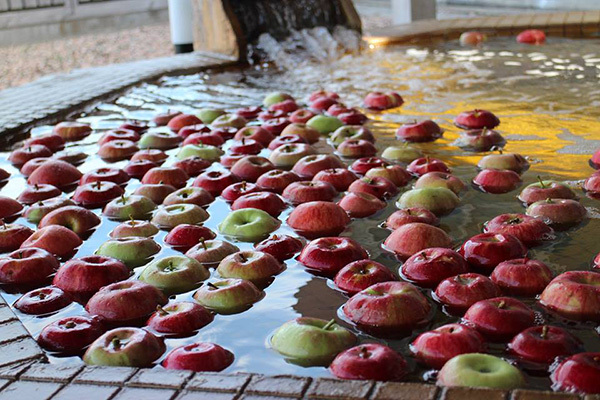 You can see a beautiful sunset from the open-air bath in summer, soak in a bathtub full of apples in autumn, and admire the snow from the open-air bath in winter. 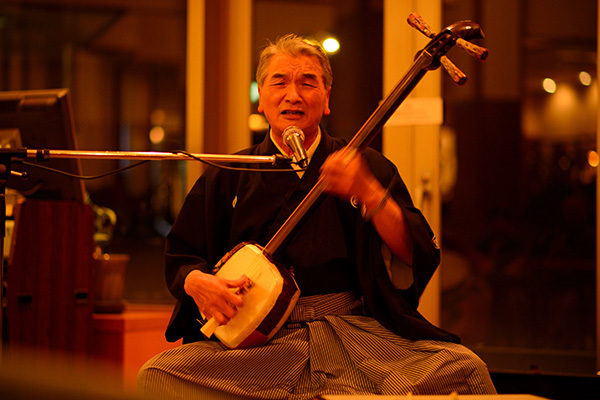 A live Tsugaru shamisen performance is held every night. 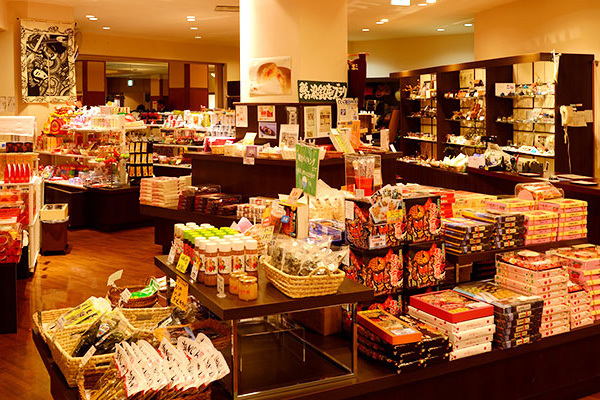 We hope you fully enjoy Tsugaru’s culture.